The Virtual Potluck team is throwing another potluck this month in partnership with Cut 'N Clean Greens for Healthy Vision Month. We've got some great recipes using all kinds of greens and I have loved trying all of their great varieties over the past few weeks. We used chopped rainbow chard on grilled flatbreads, we made an avocado and citrus salad with kale for Mothers Day and I've been using all of them in my smoothies in the morning too! I love seafood and the kids are big fans too but my wife doesn't, so it's not very often that I cook it at home. I love the combination of fish and sautéed greens though so I wanted to create this recipe combining the two. 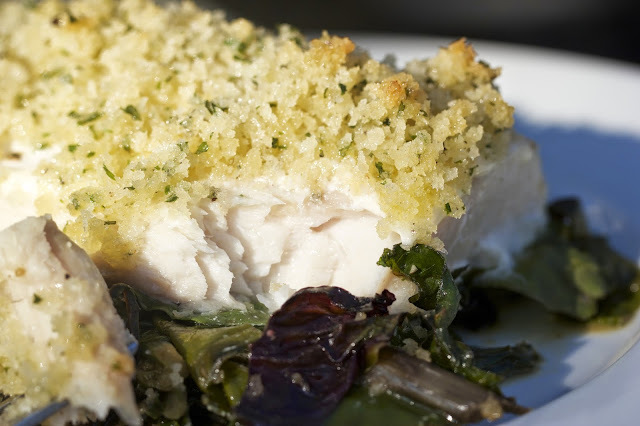 The panko crust on the fish provides some great texture and the greens retain just enough crisp to them even after cooking down slightly. 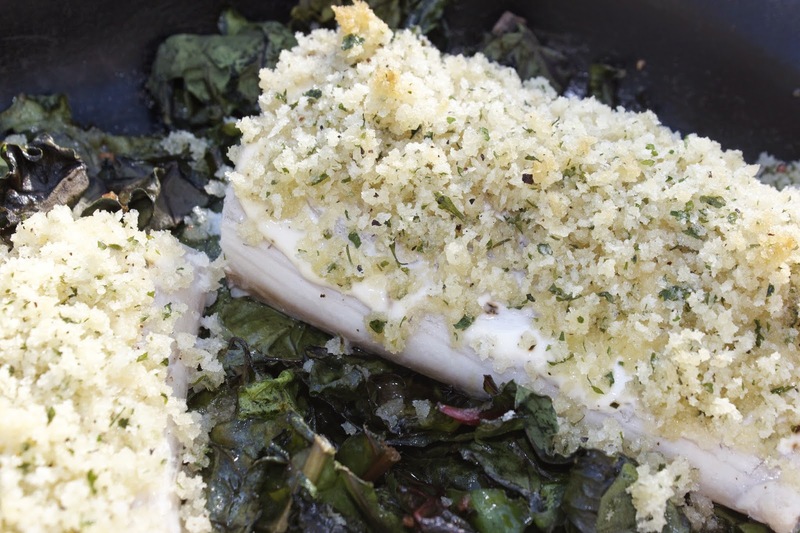 You could experiment with a variety of fish as well as different greens and still make this work very well. I love that the Cut 'N Clean greens come washed and chopped and all ready to use, saves on prep time and makes an easy addition to any meal. Cut ‘N Clean Greens is celebrating its 20th anniversary, this is a line of nutrient-dense specialty greens, both conventional and organic. 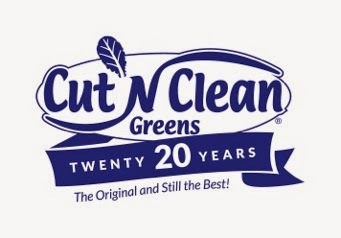 Cut ‘N Clean Greens is considered the cornerstone product of the company and was the first washed, chopped, ready-to-use bagged greens on the market, starting in 1995. Preheat oven to 350 degrees. Melt 4 tablespoons of the butter in a small pot and then add the panko and parsley. Season the mahi mahi with salt and pepper and then spread the greek yogurt on top of the filet. Press the panko mixture into the yogurt. Melt the remaining butter in a large skillet over medium heat. Add the garlic and cook until softened, about 1 minute. Add the rainbow chard and water, stir to coat the greens and then remove from heat. Season with salt and pepper. 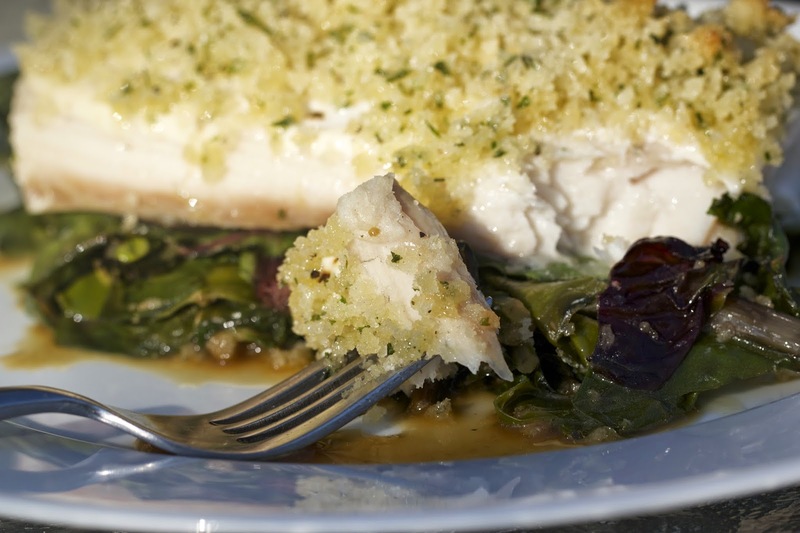 Place the mahi mahi filets on top of the greens. Place the skillet in the oven and bake until the fish is just cooked through, about 15 to 25 minutes. Also be sure to check out and follow along with our great sponsor! 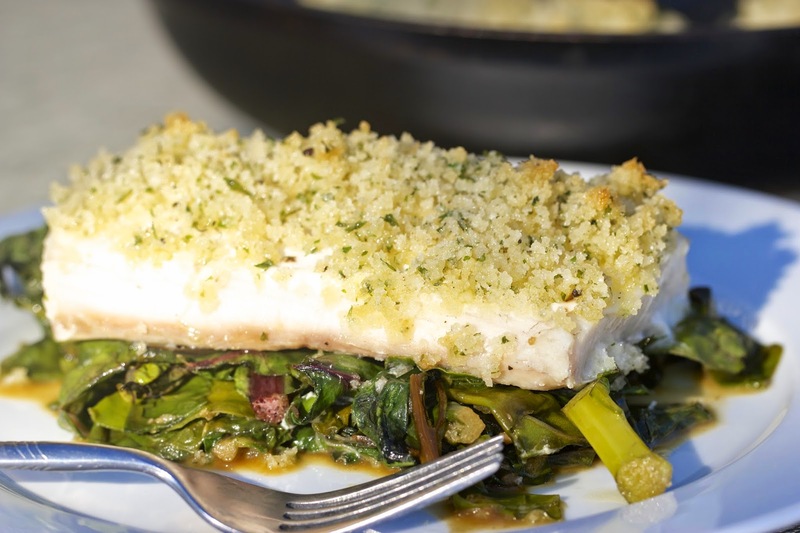 We so agree with you that the combo of fish and sauteed greens can't be beat! 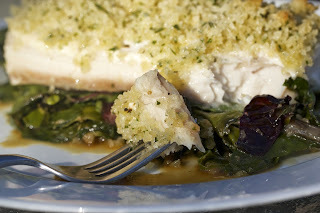 And that fish baking on TOP of the greens is just genius! Thanks for keeping it green for Healthy Vision Month, and EVERY month!